Little Rebekah is fascinated by the man her neighbors call Jesus and she wants to hear all he has to say. But her mother, Sarah, wants Rebekah to keep her distance from the man some call Master and others label a heretic. Sarah has heard rumors that some factions wish to harm Jesus of Nazareth. But Rebekah is persistent, and one day she brings Jesus home to meet her mother and grandfather - a simple act that will forever change all their lives. This is a very tender, touching movie! Rebekah and her mother come upon Jesus as He is teaching. Rebekah asks 'who is that man?' Rebekah's mother, Sarah, is worrisome as she has heard many rumors. Rebekah cannot stop thinking about Him. When she finds out that her friend is going to see Jesus she asks to come along. But he leaves her behind. Rebekah seeks Jesus on her own and meets him as he is blessing the children. He calls her by name to come to him. Then she meets him next at the marketplace where she implores him to come home with her for her grandfather has told her a very heart-felt story and she wants to take Jesus to meet him. When Rebekah hears that the Savior has been killed she refuses to speak. Her grandfather knows just the cure for Rebekah...what happens next will bring tears to your eyes. PERFECT for the upcoming Easter Season. 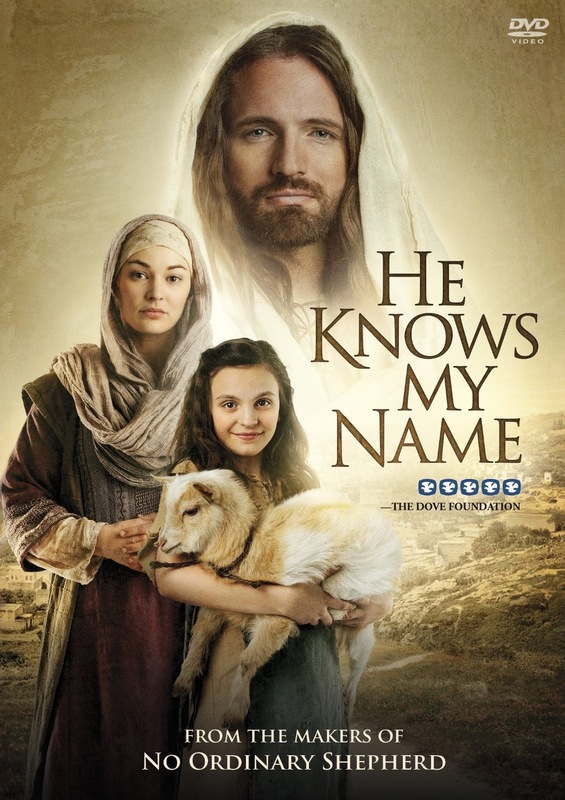 Gather your family around, share this DVD, and know that He also knows Your name.